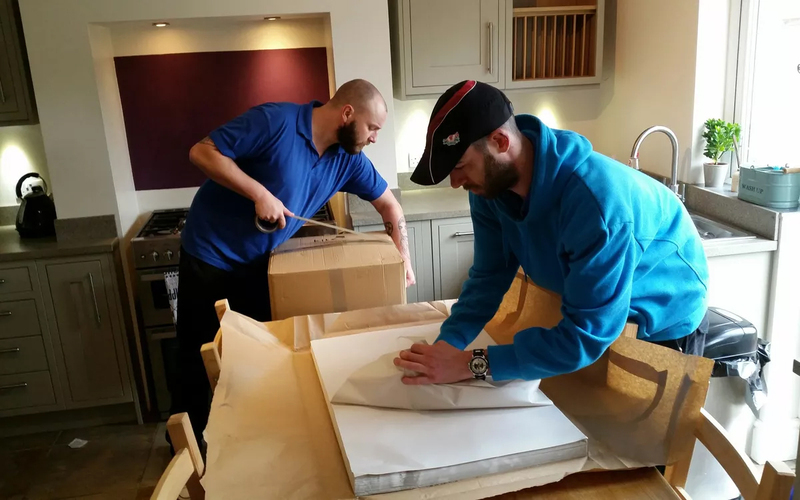 Should you choose to use our packing service, our packing team will usually arrive the day before the removal team. We will prepare and pack all of your possessions to ensure safe, secure transportation to your new home. Fragile items and glassware are individually wrapped and protected with packing paper or bubble wrap and packed into removal boxes. These are clearly marked so they are easily identifiable at your new home. We only use the highest quality packing materials and have a vast range to suit any requirements you may have. Suitable for books, dvd’s, wine bottles, heavy items. Suitable for almost anything, Ornaments, toys, shoes, pots and pans, crockery etc. Suitable for Linen, cuddly toys, lamp shades, folded clothes, pc and printer etc. To hang your hanging garments, such as shirts, jumpers, trousers and suits. We only use the best tape, you only have to tape the box once with this stuff! Ideal for protecting pictures, mirrors, ornaments and tv screens. Used for wrapping fragile items into boxes, also rough paper used as a protective bed for fragile items at the bottom and top of the box. WE ARE FULLY INSURED WITH £40,000 GOODS IN TRANSIT INSURANCE. STORAGE INSURANCE CAN BE ARRANGED SEPARATELY.